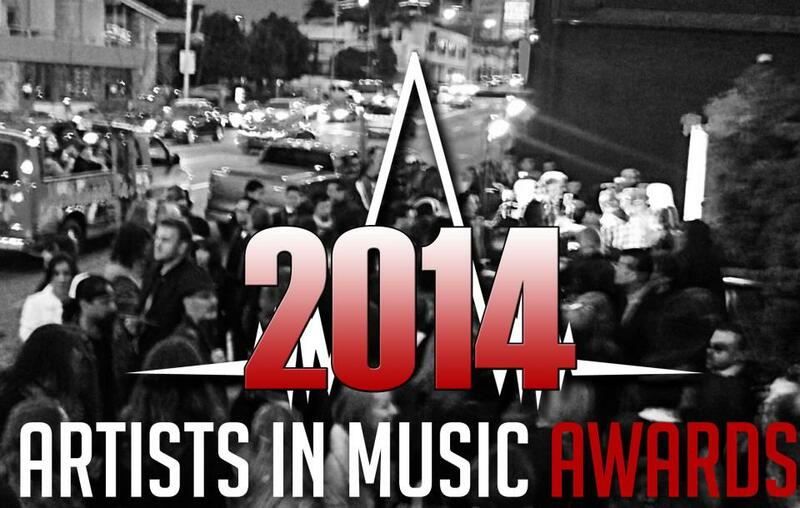 On Friday night, was the 3rd annual Artist In Music Awards, an awards show the honors the best in Indie Music. Happily I was on the red carpet for Indie News @ Noon and had great time interviewing some of the nominees before the show which aired on both World Wide Indie Radio and MSI Radio . I have to give a special thanks to Mark Lamdanski (Twitter Tuesday) , Carol Riordan (Twitter Tuesday) and Rich Wildman who kept everything going when I had my many brain farts while interviewing. THANK YOU!!! 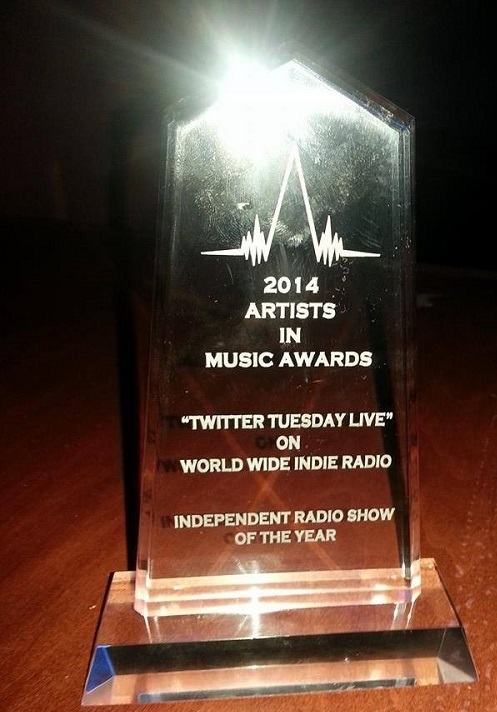 A special CONGRATS to World Wide Indie Radio’s Twitter Tuesday show won Independent Radio Show of the Year. 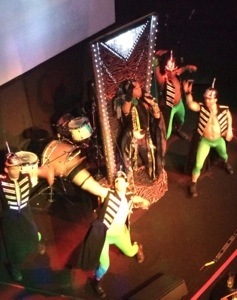 There were great performances from Glitter Rose, Cheating Daylight, Walla, BP Major, MK Ultra, Melanie Taylor Soren Bryce and Torrey Mercer. One of the most elaborate performances came from BP Major who won Best Dance Artist proved why he won that category. The gorgeous Aussie knew how to put on a great show. The nominees for the Teen categories intrigued me the most, as I read the bios on these teens I realized they were more than talented musicians they were humanitarians. In this cyber-bullying world Torrey Mercer and Tyler Matl are two teens who rise above it and encourage others to help stop bullying. Reading about it is one thing but to hear them speak about their cause left me speechless. But the big winner of the night was Glitter Rose who went home with FOUR awards for Best Best Southern Rock Artist, Best Music Video, Performer of the Year and Artist of the Year. All well deserved since she recently played her 3000th show just a few weeks ago. 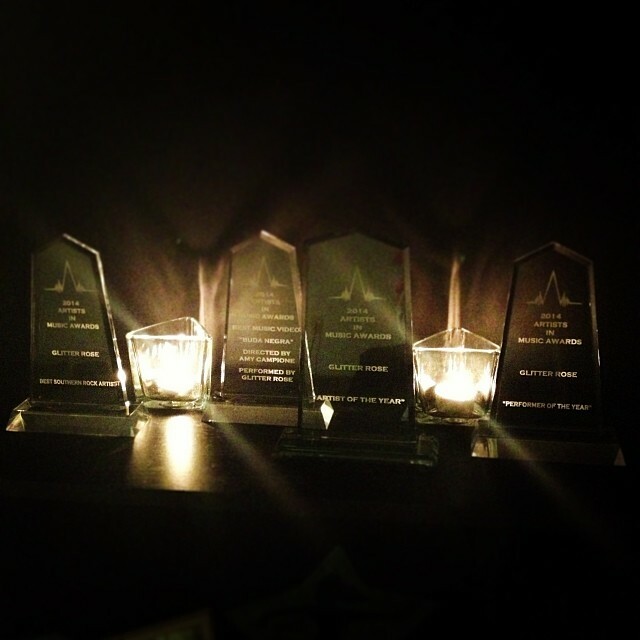 Congrats to Glitter Rose for her AIMA sweep! WINNER! WINNER!! WINNER!!! 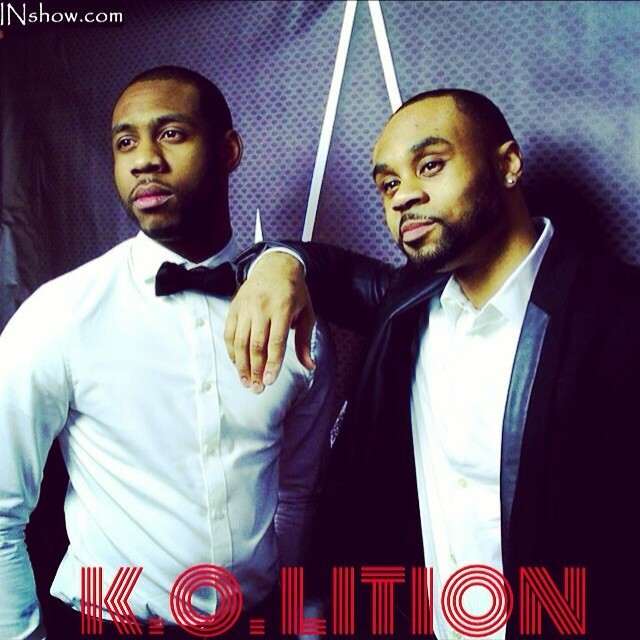 A few weeks ago when I heard 2013 AIMA Best Hip Hop Artist , Kolition, was going to perform I did a happy dance. Yes this is true. I’m not a big fan of rap, I like some but not enough to call myself a rap fan. I had a rare moment of fangirliness when I spoke with these guys on the red carpet. Music aside they’re just great guys. There were some technical difficulties but instead of waiting in the wings they did a little free-style rap to keep the crowd going. Already looking forward to the 2015 AIMA!! !